Enter the coupon code GETFIT19 in the shopping cart to get $99 Shipping on a Bowflex® BXE116 Elliptical purchase. 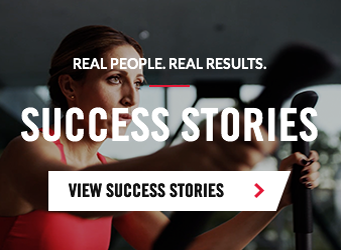 Burn more calories and stay motivated with the Bowflex Results Series™ BXE116. Built with you in mind, the BXE116 features an exceptional calorie-centric programming package along with Switch Select™ Pedal Suspension Technology, in-reach controls, a 7.5" liquid crystal display and Bluetooth® connectivity options. For powerful performance and incredible value, the BXE116 is the perfect solution. Smart design is the epitome of creating an excellent user experience. Our in-reach multi-grip handlebar buttons ensure you're always in control while pedal incline adjustments couldn't be easier. Plus, you'll enjoy the easy to navigate Burn Rate console that shows you how many calories you're burning every minute and motivates you in every workout. One size doesn't always fit all. With low impact cushioning and 3 different levels of tilt adjustability to increase muscle activation, Switch Select™ allows you to push harder and achieve greater results. Find your optimal comfort zone with Switch Select™.